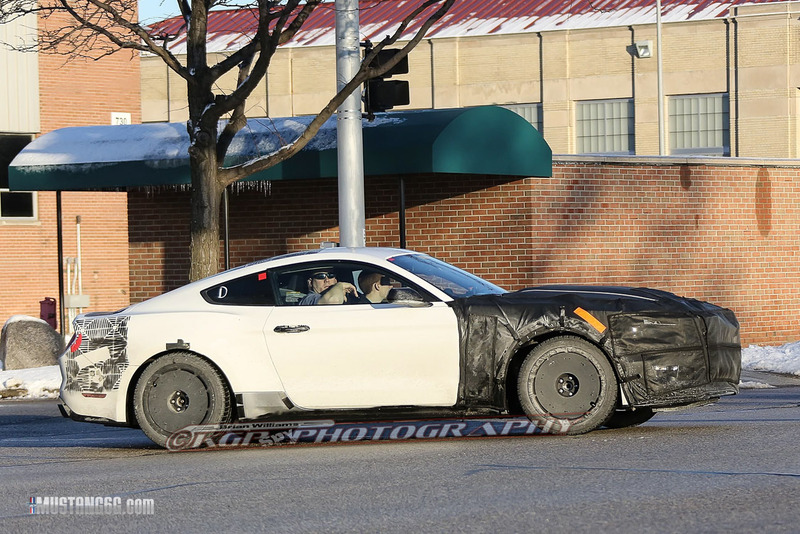 The 2015 GT500’s replacement–either the 2015 GT500 or GT350–has been spied driving around Dearborn, thanks once again to KGP Spy Photography. While performance figures have not even been hinted at this early before release, it does appear that the current GT500’s predecessor does indeed look very similar to the 2015 we saw revealed in New York. The only serious camo is found on the front of the vehicle, and suggests a different grille/front fascia. 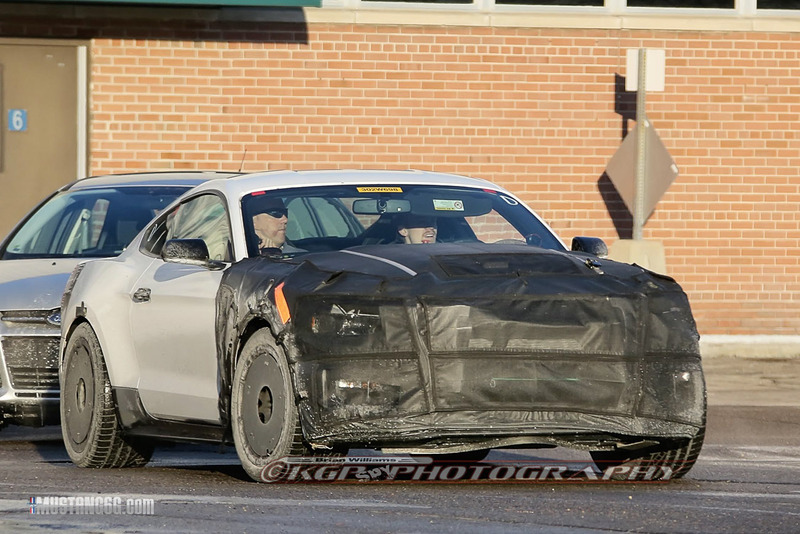 Through the camouflage in the front, you can make out an air induction scoop on the hood, “indicating forced induction,” as reported by Mustang6g.com. 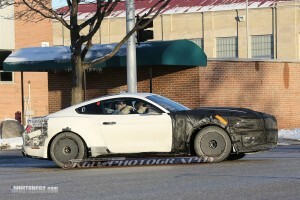 They’ve also noted the mesh cutout on the fenders, leading one to believe the 2015 GT500/350 will have functional air ventilation. Also worth noting is the quad-exhaust in the rear, a takeaway from the 2013-2014 GT500, and the large 295/35/R19 tires. The quad tip exhaust pretty much guarantees a different rear diffuser and the tires leads one to wonder what the max tire size will be for the GT/V6/EcoBoost cars. Mustang6g also are reporting that confirmed sources are saying the GT350/500 will be revealed at the New York International Auto Show this coming April–a tribute to the original Mustang’s debut on April 17th 1964 at the very same Auto Show.